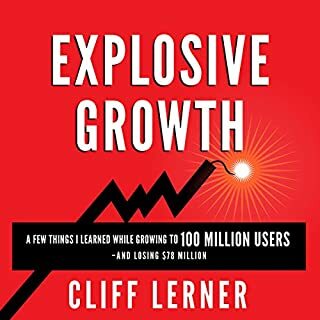 Cliff Lerner is a fantastic story teller but also shares great insights on viral marketing, using data stories and leveraging network effects. I can’t wait to read some of the other books he mentioned. Tristan White's story started like many others. He had a dream to work in a job that inspired him. He didn't find that job, so he created it. In 2004, The Physio Co (TPC) was born with one team member: Tristan White. In the 13 years since, TPC has become a remarkable health care success story based upon fast growth and a thriving, systemised company culture. Tristan's obsession with creating an inspiring place to work for himself and others has resulted in more than a decade of learning, testing and refining. 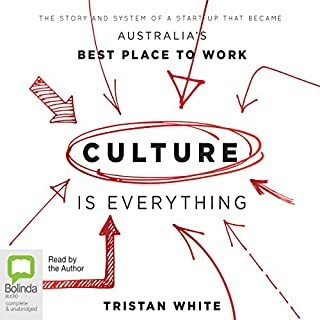 Tristan clearly outlines his path to creating Australia’s best workplace. Truly inspiring and great to see an Australian story. From the brilliant and innovative head of Google's people operations, the ultimate guide to attracting the most spectacular talent to your business and how to ensure that the best and the brightest succeed. Google receives more than 1,500,000 unique applications for jobs every year. This book shows you why. How to learn from your best employees - and your worst. Why you should hire only people who are smarter than you are. 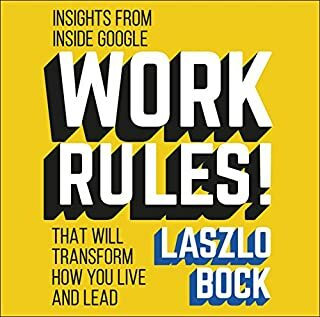 Laszlo has done a wonderful job of sharing the practices that have made Google a fantastic place to work and a better organisation because of it. He highlights that it is not the perks that make google a great place to work but the emotional intelligence, use of data, opportunity and transparency afforded to their staff that makes the difference. 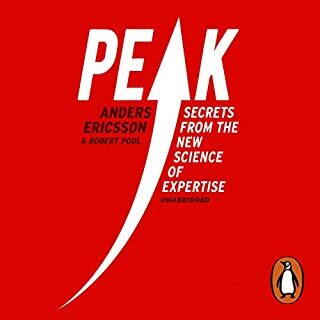 This book is helpful not just for HR but also for managers at eliciting better feedback and making people feel more valued in an organisation. The New York Times best-selling author examines how people can drive creative, moral and organisational progress - and how leaders can encourage originality in their organisations. How can we originate new ideas, policies and practices without risking it all? 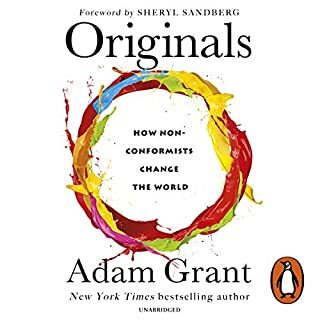 Adam Grant shows how to improve the world by championing novel ideas and values that go against the grain, battling conformity and bucking outdated traditions. 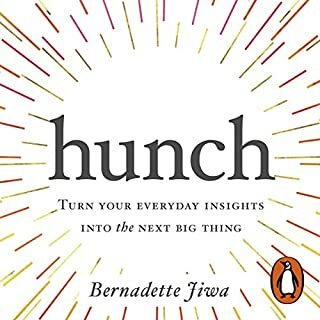 This book looks at behavioural psychology, creatives and those who do things differently and distills their actions into practices others can follow to be and encourage more original thinking. Although this was not what I expected. I expected more of a look into the practices that made the team great. It was a fascinating story. Anders Ericsson has spent 30 years studying the special ones - the geniuses, sports stars and musical prodigies. And his remarkable finding, revealed in Peak, is that their special abilities are acquired through training. The innate 'gift' of talent is a myth. Exceptional individuals are born with just one unique ability, shared by us all - the ability to develop our brains and bodies through our own efforts. Outliers barely skimmed the surface. I couldn’t agree more about the focus the education system should put towards skill based rather than knowledge based training and purposeful practice. I thought this book would make we want a Tesla even more and I was right. 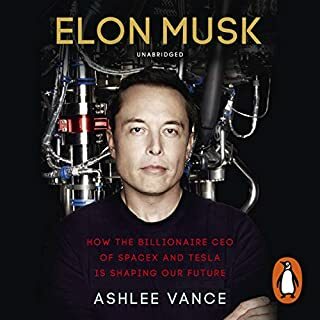 Such a fascinating insight into the rise of Tesla, SpaceX, Solar City and Musk’s life. It has inspired me to set riskier goals, Musk wants to get people to Mars, I can dream a little bigger. Learn to trust your intuition and uncover insights that could lead to the next big thing. What do the Dyson vacuum cleaner, the GoPro camera, Starbucks, Instagram, Facebook, and Lululemon yoga pants have in common? 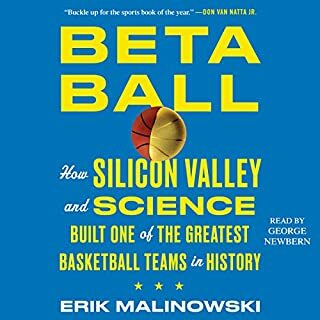 Every one of them was the result not of data-driven analytics or corporate brainstorming sessions but a hunch - the intuitive understanding of a deep unmet need, informed by insight and foresight. Anxiety over being more innovative leads entrepreneurs to create solutions in search of problems. 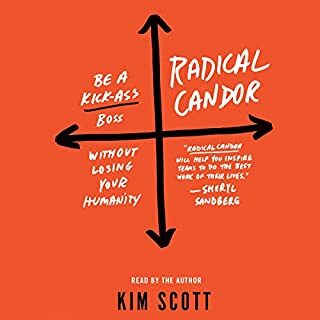 Find Your Why is the follow up to Start with Why, the global best seller and the subject of the third most watched TED Talk of all time. With Start With Why, Simon Sinek inspired a movement to build a world in which the vast majority of us can feel safe while we are at work and fulfilled when we go home at night. 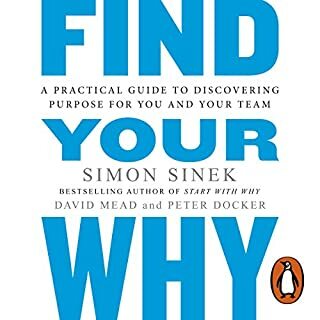 Now, along with two of his colleagues, Peter Docker and David Mead, Sinek has created a guide to the most important step any business can take: finding your why.